Online business success stories are not confined to the Silicon Valley in the US. Australia has its own dreamy online success stories that will inspire many aspiring entrepreneurs. From web-based beauty shops to copywriting businesses, Australia has seen ambitious start-ups from many different industries become multi million-dollar international companies. It is, after all, the Australian dream to quit a tedious 9 to 5 job and become one of the famous Australian entrepreneurs that end up on magazine covers. Selling shoes online is not a novel idea. But selling bespoke shoes online is. Jodie Fox, one of the cofounders of Shoes of Prey, came up with the idea for a custom-made shoe shop because of her own difficulty in finding the right footwear. She tested the idea initially with her friends, who also expressed their troubles with finding the right shoe size. Fox saw an opportunity here. Soon after, she launched an online footwear store where customers could design their own shoes. Several years later, Shoes of Prey is one of the most successful online businesses in Australia. Thanks to worldwide shipping, the store has become popular in other countries as well. Fox’s largest customer base after Australia is the United States, which is a remarkable feat for what was once a tiny Aussie company. Everyone who has ever had to edit a PDF knows what Nitro is. What most people don’t know is that Nitro, which is now as famous as Adobe, was once a small start-up in Melbourne. The company was founded by Sam Chandler, whose success story reads like a Hollywood movie script for a Silicon Valley billionaire. Chandler’s entrepreneurship ventures began when he was only 16. He founded three companies while he was in high school and college. When he founded Nitro, his employees were his buddies. The start-up barely had any customers then. Now, Nitro has a customer base close to half a million users worldwide. Some of the best known companies in the world are Nitro’s customers. The astonishing growth is not slowing down for Nitro. The company recently added new members to its global team, and secured over $20 million in funding to expand. Launching a retail fashion start-up is risky. If a company is to succeed in the cutthroat world of online fashion, it had better be truly unique. That’s exactly what Showpo is—a uniquely Australian online clothing store that has boomed into a multimillion dollar business in the span of a few years. Showpo was awarded an Australian Startup Award in 2014, when the small company grew by an astonishing 288% in a single year. The following year, it reported a profit growth of 381%. Showpo has been a mainstay in Australian social media channels as well. It now has Instagram and Facebook followers close to a million. Australia’s original online start-up success is Wotif.com. It’s hard to find an Australian who has never booked something on this travel site. The company currently has a whopping 36% of the market share in hotel accommodation. It has also expanded into 16 other countries, including China and the UK. This company’s success is largely attributed to its impressive ability to survive the dot-com collapse. 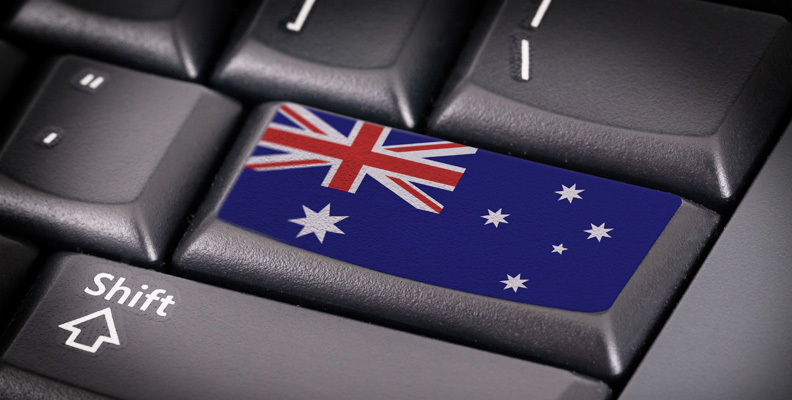 These are only a few examples of successful Australian online ventures. As the country pushes towards more innovation and creativity in business, Aussies can expect many more success stories like these in the future.